NativeEnergy helped the Wanner family build a methane digester that reduces greenhouse gas emissions and produces surplus renewable energy. Seven generations of the Wanner family have developed the Pride-N-Joy Farm located in Narvon, Pennsylvania, in eastern Lancaster County. The farm was founded in 1840, and it is operated today by Alfred Wanner and his two sons, Matt and John, with 600 milking cows. Their goal is to keep the farm viable for future generations. 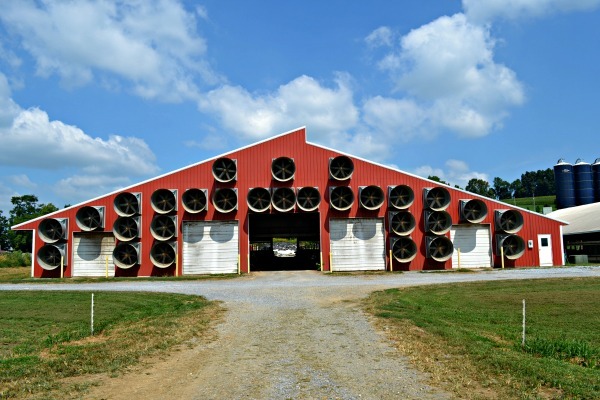 In early 2006, the Wanners began to improve their manure management by constructing increased manure storage capacity, manure solids separation, and an anaerobic digester. The anaerobic digester, completed in the summer of 2007, produces approximately 2,000 kWh of electricity each day, more than three times the amount of electricity the farm currently uses. With plans to sell the surplus generic electricity to their power provider, the Wanners turned to NativeEnergy to provide an upfront purchase of the digester’s RECs and carbon offsets to help fund the project. Other benefits from the project include producing digested manure solids, which after composting can be sold to landscaping contractors. Digested manure liquids, which are essentially made odorless by the process, will be irrigated on nearby fields as natural fertilizer. This project is a collaborative effort between the Wanner family and NativeEnergy.